How do you monitor the whereabouts of the world's most wanted criminal, deep inside a radar-infested region of a country that doesn't want you there? 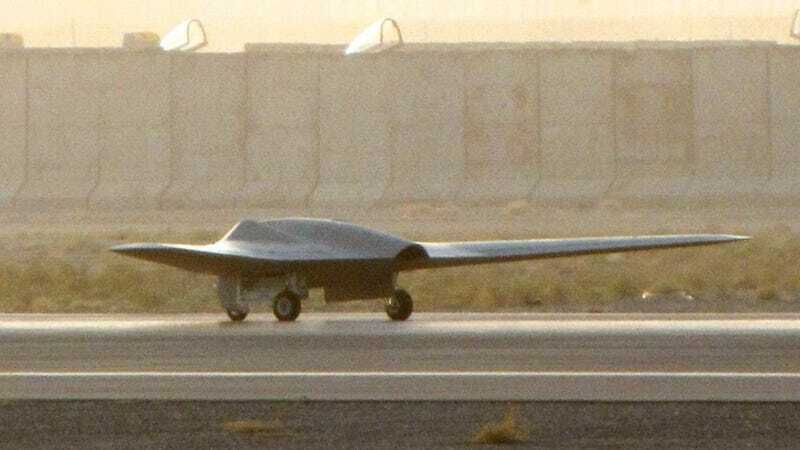 With this stealth drone, which gave the US eyes on Osama's compound from above. The Lockheed Martin RQ-170 Sentinel doesn't look much like the Predator drone fleet—and for good reason. It resembles its giant stealth bomber cousins, with a broad, flat, batwing form, that evades detection and operates quietly. Predators don't—they're rather loud, in fact, and for this reason they were kept out of the mission, the Washington Post reports. "It's not like you can just park a Predator overhead—the Pakistanis would know," explains a former US official. And if the Pakistanis knew we were deep inside their turf, regardless of the reason, the whole mission would have likely been compromised.